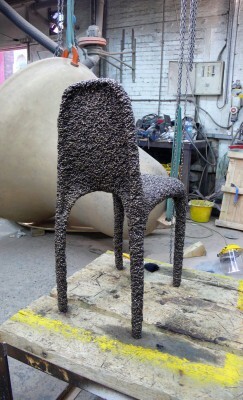 The Bronze Poly Stool (034.) 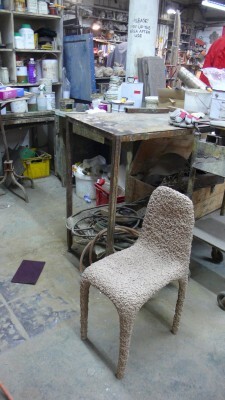 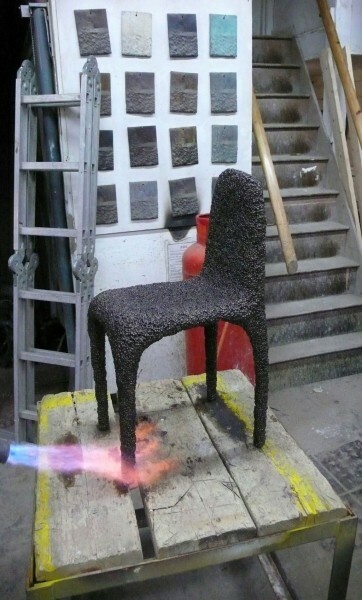 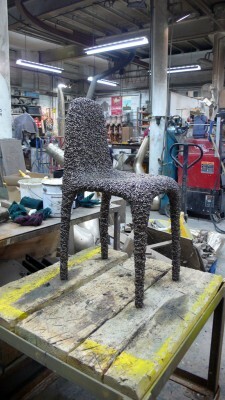 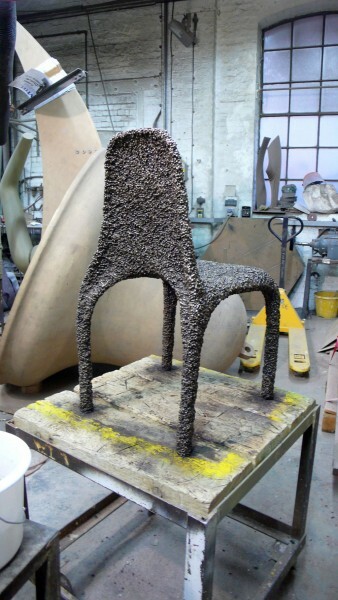 with the addition of a fourth leg and a backrest, becomes the Bronze Poly Chair. 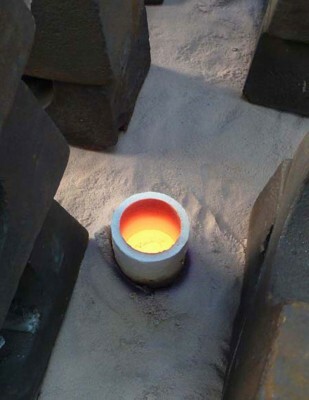 by adopting and slightly altering the industrial lost foam casting process typically used in the mass production of aluminium engine blocks. 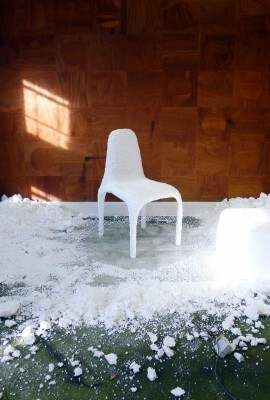 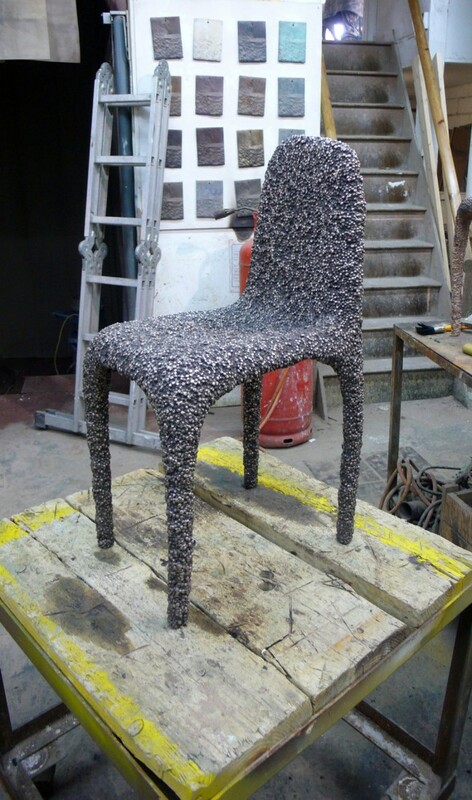 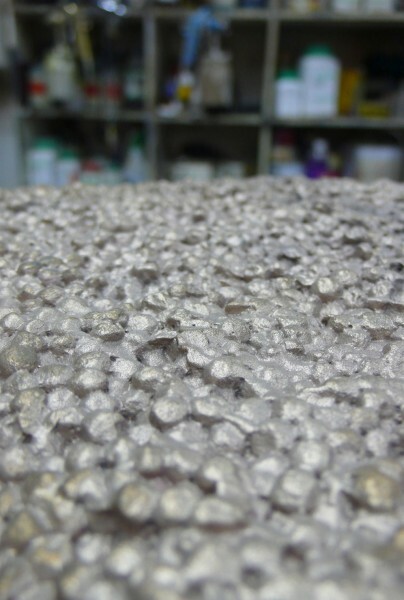 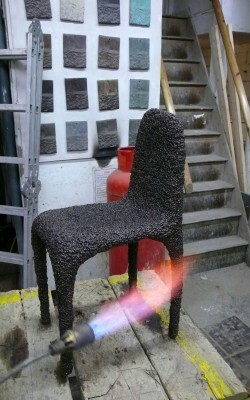 The fact the polystyrene pattern is sacrificed during the casting process was very appealing, and so I decided to explore the material’s perceived ephemerality by using a labour intensive and unrepeatable process to make a series of stools and chairs with highly unique details and characteristics, otherwise impossible to achieve using conventional casting. 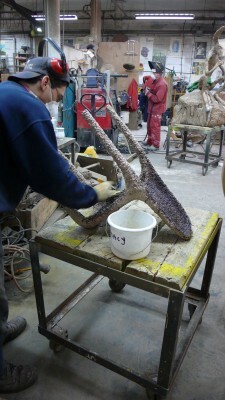 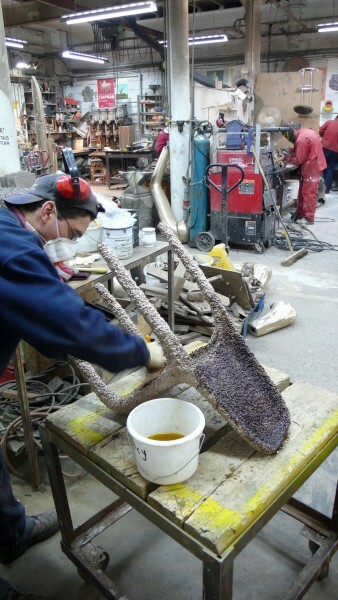 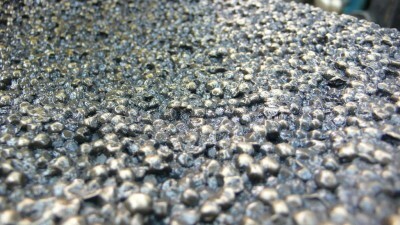 The high fluid rate of molten bronze allows a perfectly exact replica of the polystyrene ‘master’ to be cast. 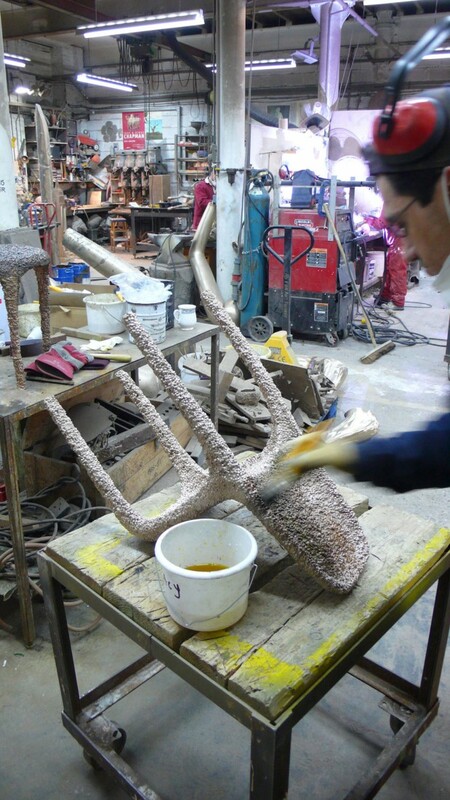 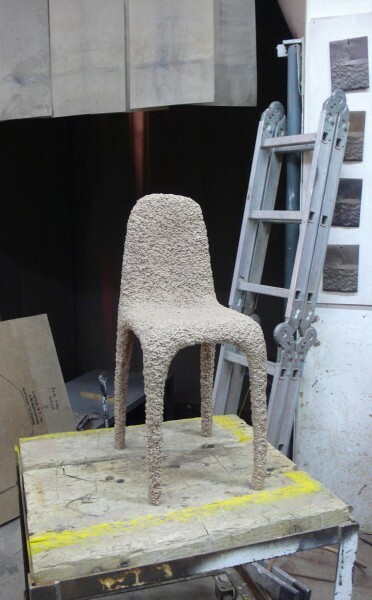 Because the master is sacrificed during the casting process, each subsequent bronze stool or chair I make requires me first to carve the form from a block of polystyrene, thus each bronze cast is unique.